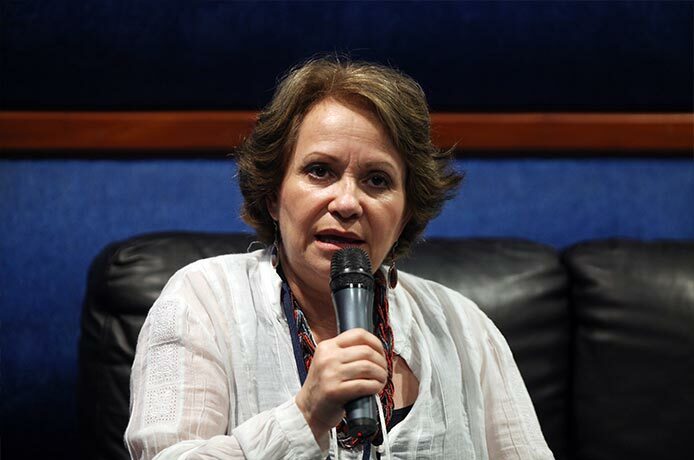 Barraza spoke during a discussion held in the auditorium of the Global Foundation for Democracy and Development (Funglode) as part of the activities of the 7th edition of the Dominican Republic Global Film Festival (FCGD). The renowned acting teacher said that when an actor is doing a casting audition he should be calm, and this requires the director of the audition to offer security and tranquility to the actor. “But reality shows us that casting directors, in most cases, have no patience,” she lamented. Barraza referenced her own artistic career, highlighting the novels, plays and film productions that she took part in. She recommended that actors, who always must interpret a character, go from the micro aspects to the macro ones, trying to find a sense of reality within the fiction, so that throughout their careers, “the audience can differentiate one character from another,” she said. At the end of the discussion, the audience consisting of filmmakers, actors and students from different schools questioned Barraza about the world of acting.